A regeneration project to transform the site of a former school, work started at Western Avenue in May 2018. Once complete, Cross Keys Homes will offer 82 affordable homes for rent and shared ownership while Keepmoat Homes will provide a further 120 homes for outright sale. A regeneration project to transform the site of a former school, work started at Western Avenue in May 2018. 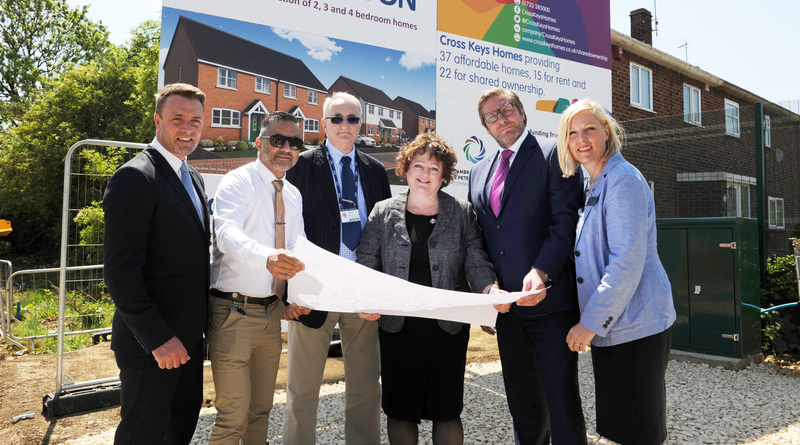 Once complete, Cross Keys Homes will offer 82 affordable homes for rent and shared ownership while Keepmoat Homes will provide a further 120 homes for outright sale. A new medical centre will supplement the existing amenities in this well-established community which is just a few minutes away from the new CKH new wellbeing hub which will open in 2018.